HEMP concrete will outlast cement concrete by decades. We can use HEMP for making anything from long lasting rope, to paper that last decades, to medicine, to fuel, to nutrient dense foods and now super strong plastics that are stronger than steel and lighter than aluminum. 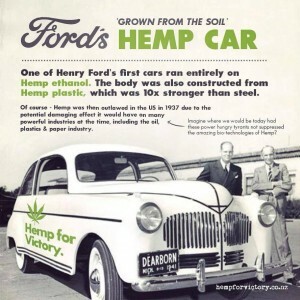 Henry Ford produced a car using HEMP plastics that where stronger than steel and lighter than aluminum. It even ran on ethanol made from HEMP. Chair made from HEMP Zeo-Foam. We can now make any shape, or form we need from highly renewable and very sustainable HEMP.